Frontier Airlines used to be a big name in Milwaukee, but have cut hundreds of jobs as Scott Walker's and Chris Abele's austerity agenda has continued to ruin our state and regional economies. Denver-based Frontier Airlines on Friday said it will lay off 140 Milwaukee reservation employees as part of its plan to transition management of its reservation department to a business partner, Nashville-based Sitel. Frontier also will lay off 1,160 airport employees in Denver as part of the outsourcing efforts. Many of the employees laid off in both locations will be rehired by the business partners, a Frontier spokesperson said. In addition, the airline is offering “significant” severance that employees will receive even if they are rehired. “Today’s announcement is by no means a reflection of the service or level of work provided by our team members,” Frontier said in a statement. “The business partners we have selected are high-quality organizations and employees will be given priority in interviewing. We have seen this type of vulture capitalism too many times. The workers that are lucky enough to get jobs with the new company will surely see a big cut in pay and benefits. Meanwhile, consumers won't see any significant savings - and maybe no savings at all. However, it's also safe to say that the CEO and board of directors will see huge bonuses and pay raises. One of Frontier Airlines' gimmicks is to have pictures of animals on the tails of their planes. 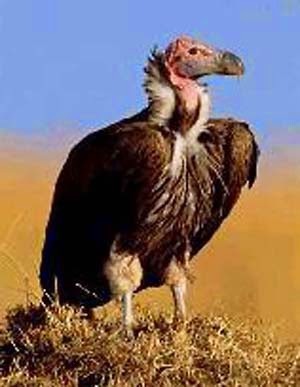 They should switch those pictures of vultures to honor the vulture capitalism they continue to practice. Chris Abele and Scott Walker are calling the shots at the Denver HQ of Frontier, huh? Have you forgotten to take your pills, capper? Let me guess - given your reading comprehension skills - you're either home schooled or went to a charter school. Let me guess - advanced WDS? I think losing some weight might help that, capper. For some reason obesity and entitlement seem to be linked. Capper… I sure that before all the finger pointing is done and the Walker had nothing at all to do with it crowd is done they will eventually get around to blaming…. Obama.